This view from the foothill into the flat uplands is unique. One can see the Kochelsee and the village Kochel am See. You might recognize lake Starnberg in the East and the silhouette of mount Blomberg to the West, close to Bad Tölz. In good weather the city of Munich is in the center on the horizon. This is breathtaking: Sometimes you have a perfect view for more than 150km into the Munich upper land. 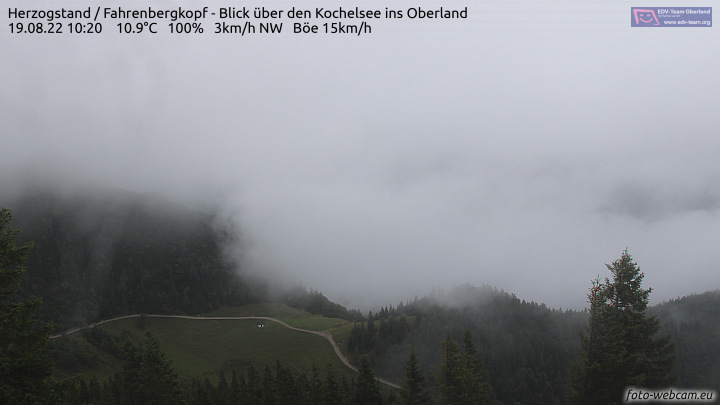 This webcam is located on the summit of Fahrenberg above the cable cabin station at the Herzogstand mountain, facing North with a slight impact to the East. 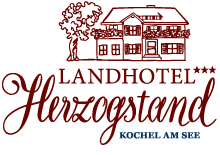 The Herzogstand belongs to the municipality of Kochel am See and is 1.627m above sea level.